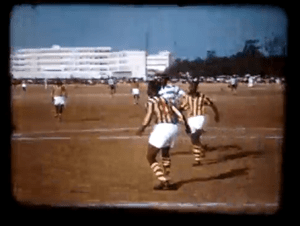 One doesn’t see much film, let alone color film, of African football under colonial rule. 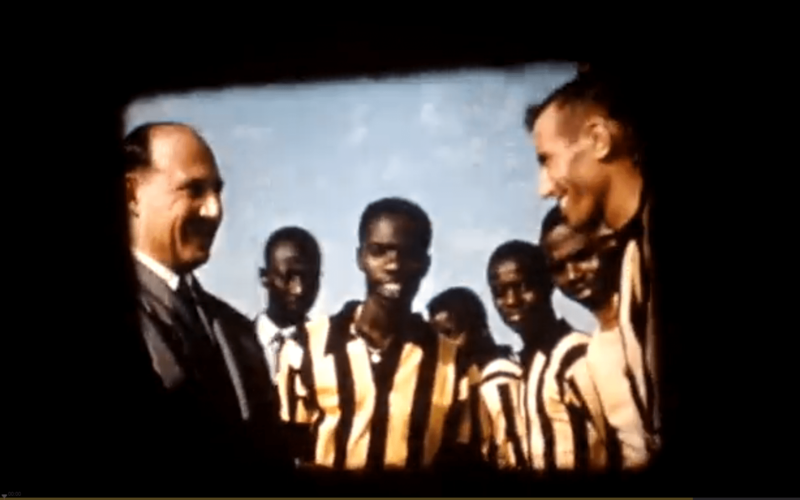 So you can imagine my delight when I stumbled across clips of a French colonial propaganda newsreel featuring the my favorite African club side wining a colonial cup final from 1956. 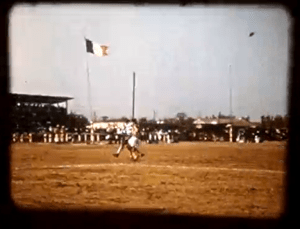 The person selling old newsreel films has uploaded two parts of the color highlights of Jeanne d’Arc Bamako (since 1960 known as Stade Malien de Bamako) defeating Abidjan side ASEC, now the giants of Ivorian football, ASEC Mimosas. 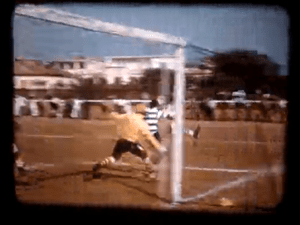 In one clip – the third frame reproduced below – you can see Cheikh Oumar Diallo for Bamako, scoring his second goal in the 75th minute with a flying deflection from the left post, right under the keeper. This was Jeanne d’Arc Bamako’s second French West Africa Cup (Coupe d’AOF), one of the high points for the young club, who might be best known as the 2009 champions of the CAF Confederation Cup. 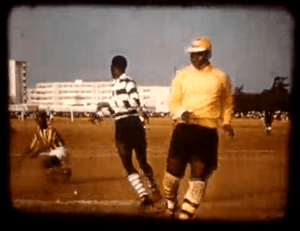 While its sometimes hard to keep up with African football abroad, one of the spin offs of technology is that it is easier now than ever. ASEC has a world class website (http://www.asec.ci/), and you can read match highlights from Bamako in half a dozen online papers. 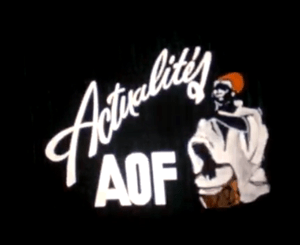 Here’s a music video of highlights of Stade 2009 Caf campaign from just one Malian football website. There’s even a Facebook group for Stade Malien supporters. But whatever else changes, he beauty of a ball hitting the back of a net, as you can see from these movies, is timeless.